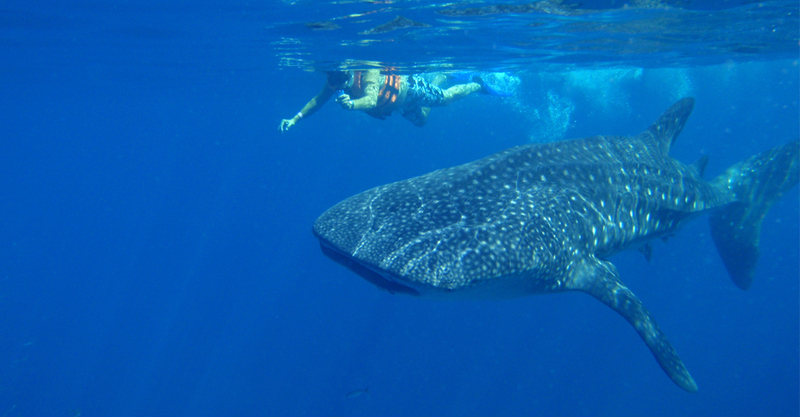 Swimming with whale sharks is one of the best experiences you can have in your lifetime. If it’s not on your bucket list, then it definitely needs to be. Despite their name, and tremendous size, the biggest fish in the ocean are actually quite docile and approachable creatures. Read on to find out which locations are best to spot these majestic gentle giants. 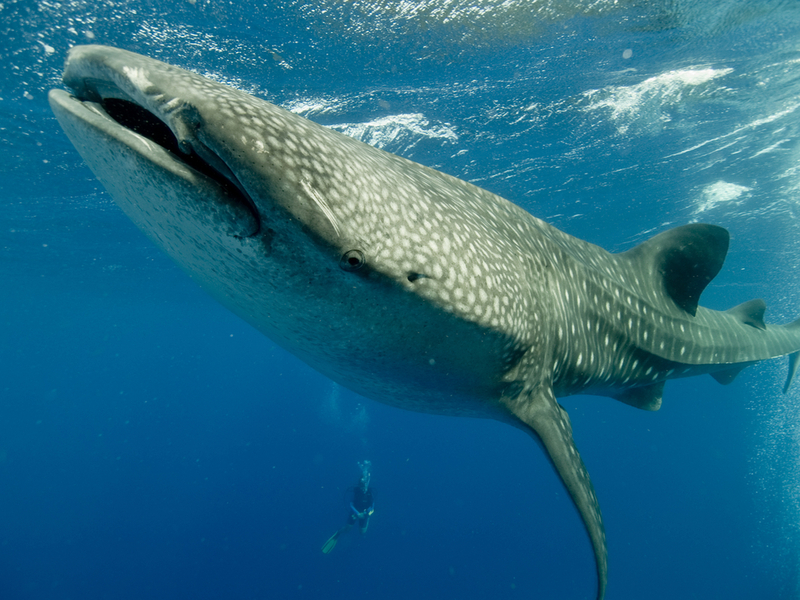 Travel to the picturesque Islas Holbox in summer to witness one of the largest gatherings of whale sharks in the world! 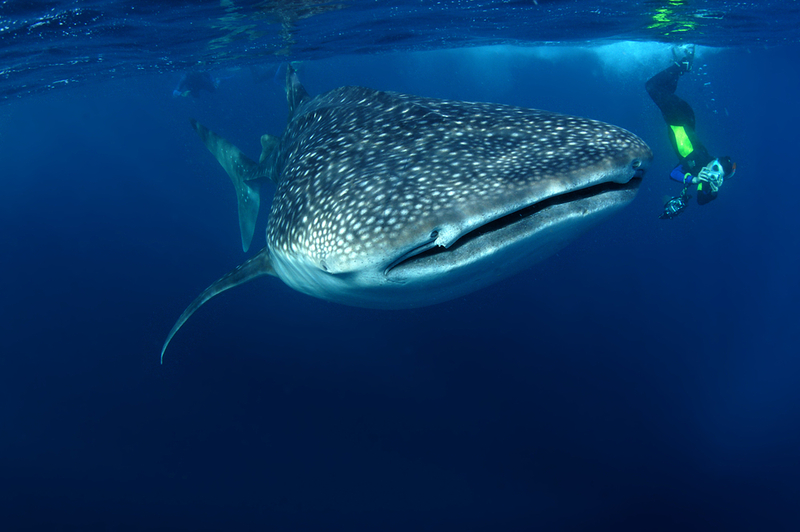 Located just a few miles from the relaxing Holbox beaches you will find not one, not two, but more than 800 of these magnificent creatures in the warm tranquil waters. Every year whale sharks swim over 6,000km to this popular feeding hotspot to eat plankton, krill and fish eggs, but thankfully not humans! Take advantage of their visit and go on a 25 minute boat ride to meet them. Tours depart daily from June to September, so you have plenty of opportunity to say hi. 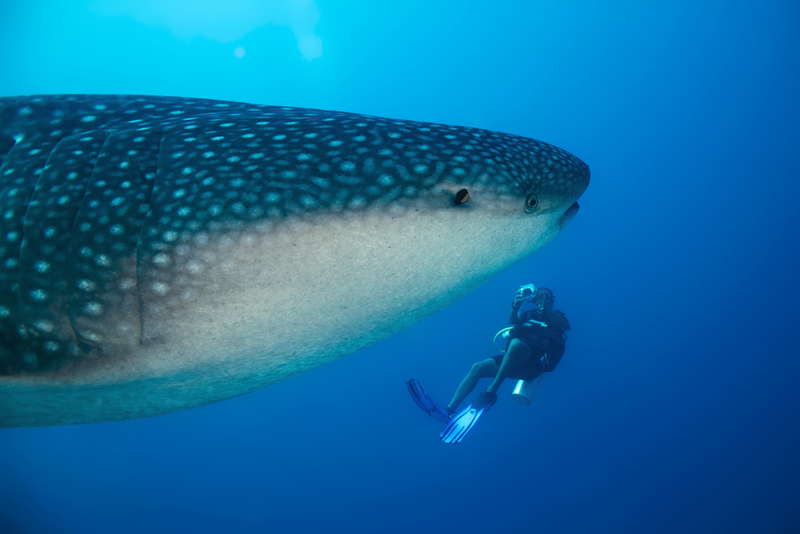 If you don’t want to be limited to specific months to view the whale sharks, then head on over to the charming Utila island, where you can see them all year round. This popular backpacker haunt just off Honduras’ coast has earned the reputation of being the ‘Whale Shark Capital of the Caribbean’, and for good reason too. Just by walking along the glittering shoreline you’ll frequently witness these impressively beautiful sharks pass by. To really get up close and personal, dive into the deep blue north shore reef where the walls drop to over 1,000 meters. Here the waters hold an abundance of marine life, so not only will you get the chance to swim with sharks, but possibly dolphins too! 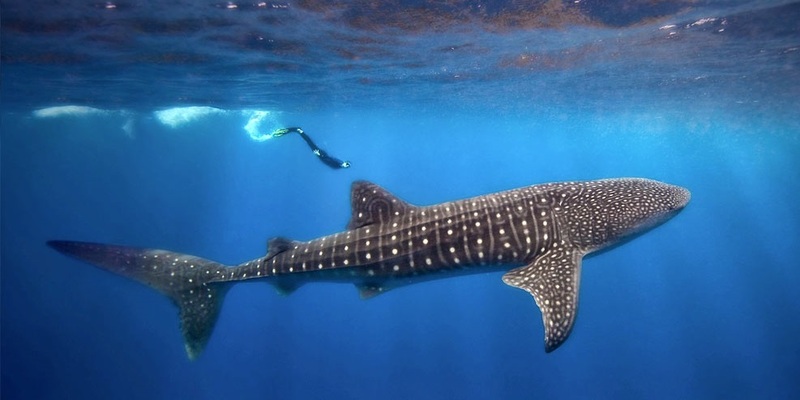 Say g’day to the whale sharks as you enjoy an unforgettable swim in Ningaloo, Australia’s largest and most accessible fringing coral reef. As you dive into this magical underwater world, you’ll be instantly surrounded by vibrant coral, hundreds of colorful fish and the impressive whale shark. But they’re not the only star attraction. Uncover the rest of the bountiful marine life in these warm turquoise waters and tick off many bucket list experiences in just one trip. Dolphins, turtles, manta rays and migrating whales are just some of the wonderful creatures just waiting to greet you. Discover some of the most outstanding natural beauty in the ocean, just off the scenic coastal town of Placencia. With its coral reefs, friendly marine life and the astonishing Great Blue Hole, it’s no surprise that Belize is a popular diving site. 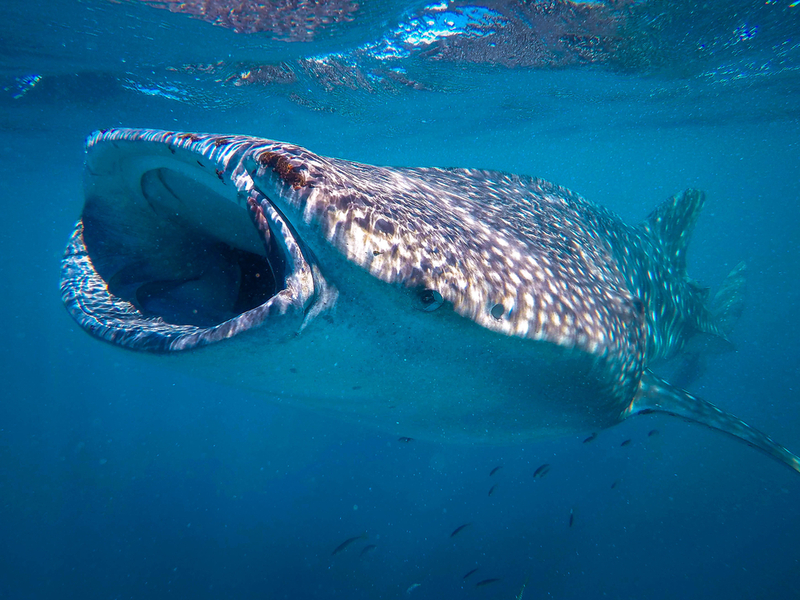 The mass spawning of cubera snappers between March and June is what draws the whale sharks to Gladden Spit and Silk Cayes Marine Reserve. So climb aboard a fishing boat with your diving or snorkelling gear and get ready to jump in the water when the whale sharks pass by. These gentle creatures are quite fast, but when they are in a playful mood, you can expect them to stick around and happily keep you company. Originally just a humble fishing village, Donsol Bay became the center of attention when whale sharks were ‘discovered’ by the outside world in 1998. Although there seems to be less sightings of them now, you’re almost guaranteed to see at least five in the water. Only snorkeling is allowed, but that doesn’t mean you’ll miss out on a close encounter. Whale sharks are very curious creatures, so prepare for an immediate rush of adrenaline, as these gentle giants swim so close, they're almost touching you. 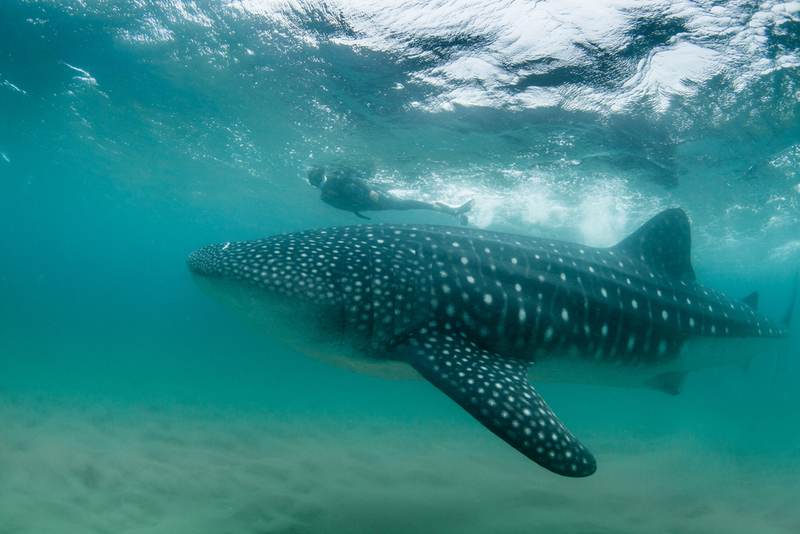 Thanks to its plankton-rich waters, you’ll have no problem spotting whale sharks at the legendary Tofo Beach. 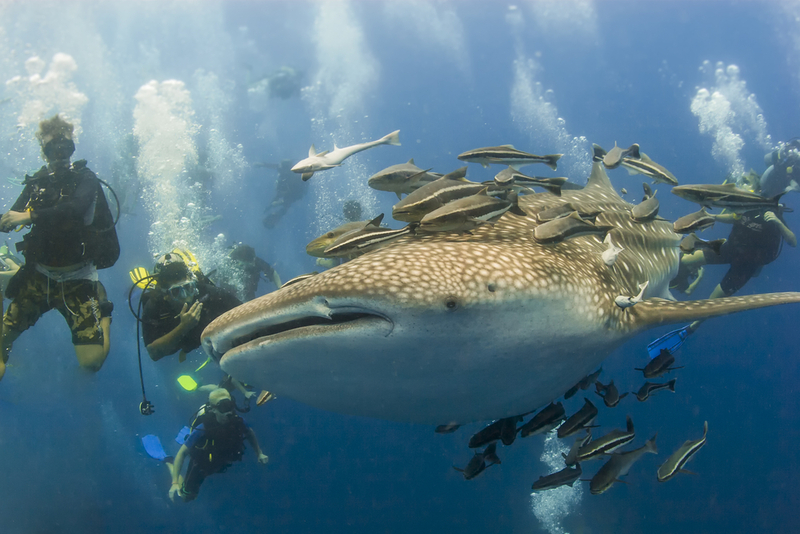 Heralded as a scuba diver's dream, it’s not uncommon to see a 50-strong congregation of whale sharks from October to March. But that’s not all. As you dive into the warm azure waters and swim around the pristine coral reefs, get ready for a lot more encounters than you bargained for. Dolphins, manta rays and the very distinctive humpback whales are just a few of the other residents in these wonderful waters that might greet you. Resist the temptation to lie down on one of the stunning beaches, and make your way over to the magnificent bays of Mahé. Immerse yourself in the gorgeous multi hued waters and discover the stunning coral covered granite slopes and astonishing shipwrecks. Among these impressive features you’ll find an abundance of tropical underwater species including the super friendly whale sharks. 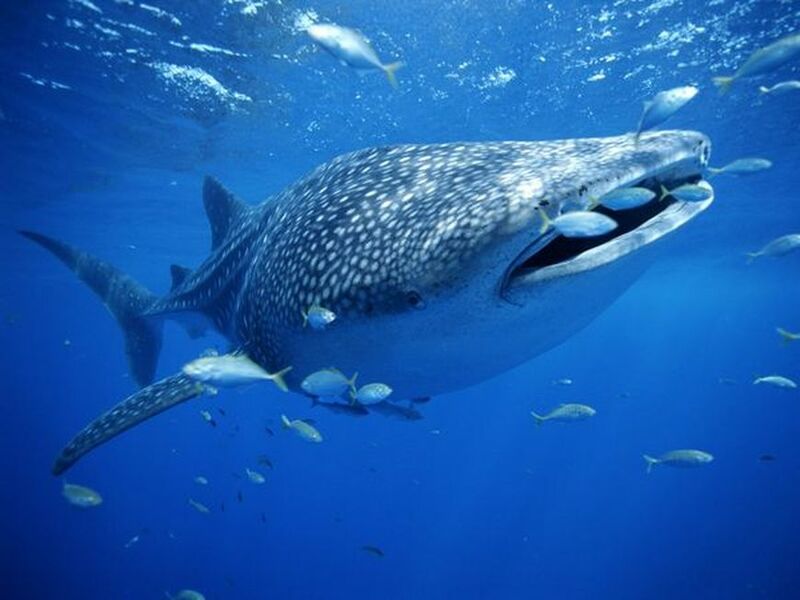 Although not a permanent residence, countless whale sharks migrate here between August and November, offering plenty of sightings. Away from the hustle and bustle of the party island Koh Phangan, is the much more relaxed and serene Koh Tao. This tropical unspoiled paradise offers diverse diving just off the shores, making it a favorite among divers and snorkelers. Within the shallow coral reefs is a myriad of marine life including rays, green turtles and the illustrious whale sharks. Despite these breathtaking beauties being spotted all year round, it’s pot luck on whether you actually get to see them during your visit. For the best chance of seeing at least one, visit between April and June and get on board a boat ride to Chumpton Pinnacle, where most encounters take place. 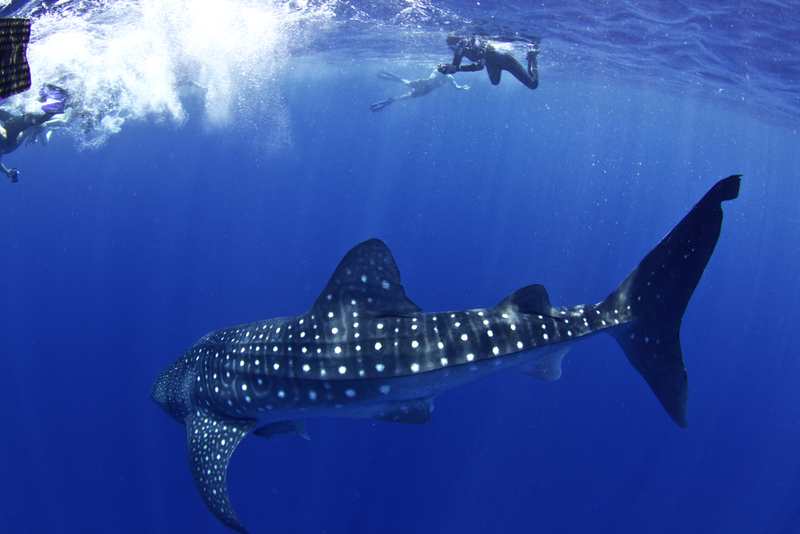 Experience the whale shark safari of your dreams, in South Ari Atoll. Unlike other spotting locations, the Maldives offer a permanent home for these beautiful whale sharks, so you’re bound to see at least a few. Across the vast ocean look out for passing sea life including dolphins, turtles and manta rays as you search for the humongous but harmless fish. Many of these year-round residents stay in the western side of the Indian Ocean archipelago from May to December, before heading east until April. You already know about Dolson, but that’s not the only place in the Philippines to spot the elusive whale shark. Just off the coast of Puerto Princesa, Honda Bay offers stunning underwater reefs filled with the big friendly giants of the sea. Clamber aboard a dive boat and become part of the search party for these wonderful creatures. Among the calm waters you’ll likely see dolphins, turtles, sea snakes and manta rays, as you await your guide to shout ‘jump’, when they spot a whale shark. For the best chance of sharing the deep blue ocean with the biggest fish in the world, visit between April and November.